Vic Stander, Event Director at Duffins Trail parkrun, tells us how try, try, trying again took their local parkrun from a dream to reality! As I am writing this, Duffins Trail parkrun has had 15 events to date. It’s crazy to think that the dream to have a parkrun in our community started back in 2015. I moved my family from sunny South Africa to snowy Canada in 2014, and we were accustomed to having a few parkruns to choose from around our neighbourhood in Johannesburg. Yet at that stage, the closest parkrun in Canada was a whole country away! Euan Bowman, our current Country Manager, was a great help in getting the ball rolling – but only 3 years later did that dream become a reality for us. The first few proposals that we sent to the municipalities around us were either ignored, or they didn’t progress to a 2nd meeting. So we lost a little bit of hope, but when parkrun Canada started to get off the ground in other provinces during 2016, it reignited the flame. 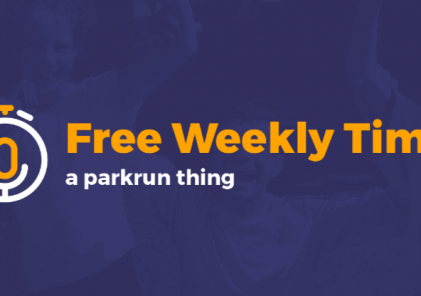 During the spring of 2017 the fantastic team from Whitby, our neighbouring town, launched their own parkrun and we got to help them out a bit – learning from the whole experience. I must admit I was a little jealous, as a few other parkruns popped up around Ontario as well and still our home town had not yet responded with enough enthusiasm to open the door! Over the last 15 weeks, we’ve had such a variety of experiences: From 24 runners on week 3, to 1 runner on week 13; Tourists visiting from Australia, England, Scotland, and other parts of Canada; Runners who do it in less than 18 minutes, and walkers who take nearly an hour; Amazing post-run coffees with people who we’d otherwise never get to know; and the list just goes on! I am so looking forward to what our parkrun has in store for 2019, and I trust that many more parkruns will pop up all over Canada this year!